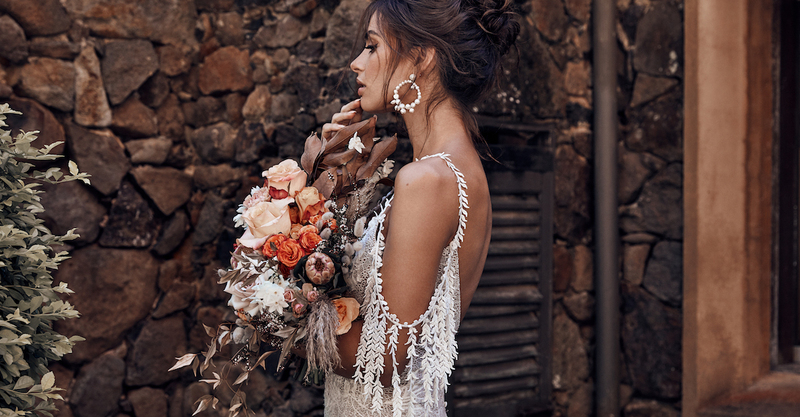 The enchanting bridal gowns in this collection are crafted from gauzy chiffon, elegant lace, and delicate patterned fabrics. Intricate beading, illusion necklines, and statement-making trains are standout features. The star-studded Miu Miu Spring 2018 campaign is all about "preservation, justice, community, design, or the liberty of free spirits."